Guelph Community Singers | For the joy of singing! Spring Session is now full! Get details about our Fall session waiting list. with other people who feel the same way. Guess what? 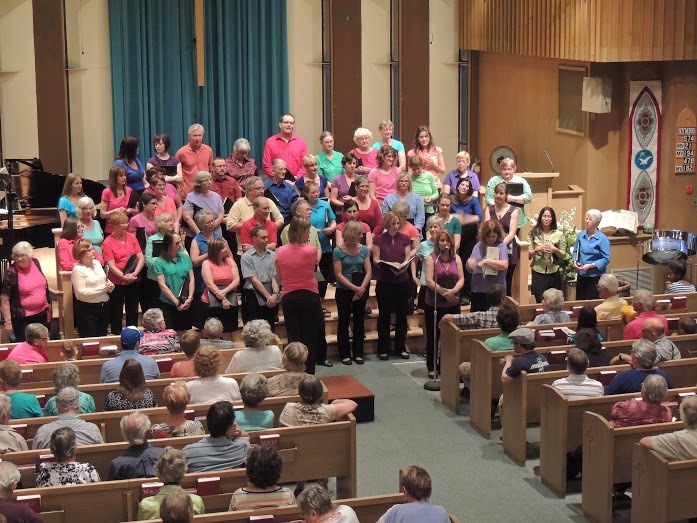 Guelph Community Singers is what you’ve been looking for. We’re a fun-loving community choir over 100 voices strong. You don’t even have to audition. Come join us! All people over the age of 16 are welcome to join no matter their musical experience. Everyone is a singer and should be given the opportunity to share in the experience of singing together! We offer flexible membership fee scales to ensure that cost does not prohibit anyone from joining. Check out our recordings and YouTube videos available online! Guelph Community Singers has a great library of sheet music that we love to share.